North Korea will need only a year to create an intercontinental ballistic missile capable of reaching the US. According to the sources of the US publications, this conclusion was reached by the intelligence community of the country. Previously, it was believed that the DPRK will be able to achieve such results no earlier than 2020. The reason for the new forecast was the recent tests, which demonstrated that in theory a North Korean missile could already hit targets as far as in Alaska. 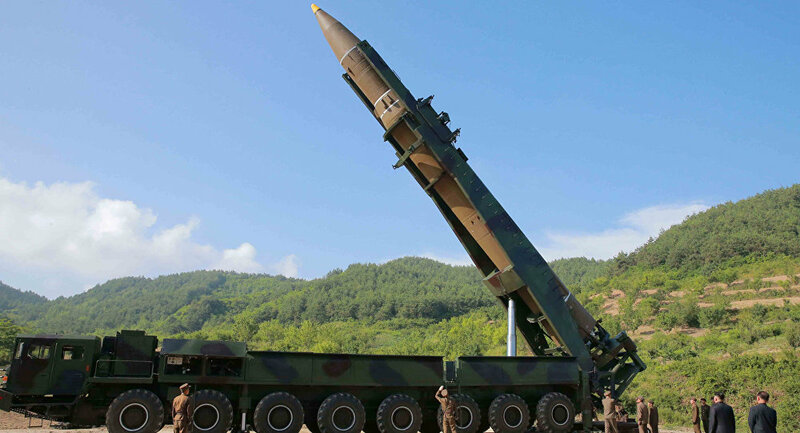 North Korea will be able to create an intercontinental ballistic missile as early as 2018. This was reported by The Washington Post and The New York Times with reference to sources in the US intelligence. According to the sources of the publications, the new assessment is based on recent tests of North Korean weapons; specifically the launching of ballistic missile Hwaseong-14 on July 4. In the Pentagon it is assumed that the leader of the DPRK Kim Jong-un will receive a reliable intercontinental ballistic missile with nuclear weapons in 2018. "North Korea's plan is running faster than we expected. We did not think that the ICBM will be tested in July, "said one official familiar with the assessment of the US Department of Defense's Intelligence Department (RUMO). In light of these developments, the US is becoming seriously concerned. Recently it was reported that the residents of Hawaii are preparing for a nuclear strike. A special educational program is being carried out based on a scenario in which over Honolulu at an altitude of more than 0.3 km an explosion of a nuclear charge of 15 kilotons takes place. ​To prepare for such incidents, the US authorities also intend to create a more modern system of warning about the attack. In an official statement, the head of the Department of National Intelligence for East Asia, Scott Bray said that North Korea’s recent test of an intercontinental-range ballistic missile was not a surprise. “This test and its impact on our assessments highlight the threat that North Korea’s nuclear and ballistic missile programs pose to the United States, to our allies in the region and to the whole world,” Bray said. According to the New York Times if the DPRK can really prepare an ICBM capable of reaching the US by 2018, this will happen before the modernization of the US anti-missile defense system. 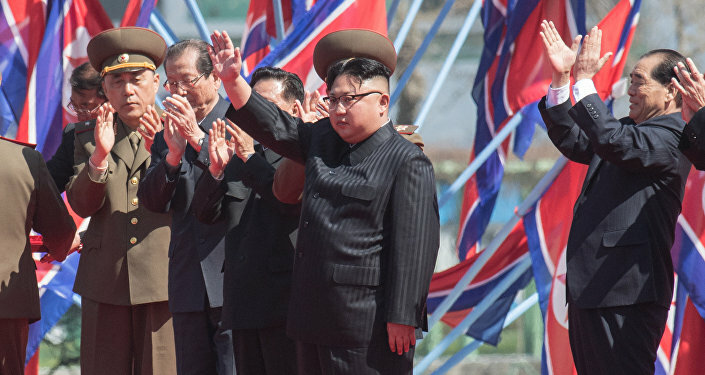 "The danger is that the time to make a decision is significantly reduced due to the presence of weapons from North Korea, and an escalation of the conflict can occur at any second," the Washington Post quotes John Wolfsthal, the former senior director of the Arms Control and Non-Proliferation Agency, as saying. The head of the National Survey of the United States, Daniel Coates, also said that the DPRK is becoming a member of the club of nations with nuclear weapons. In a classified briefing for all the members of the chamber, the House Armed Services Committee said that North Korea’s intercontinental ballistic missile development is a risk that grows each day. The briefing team included Rob Soofer, deputy assistant secretary of defense for nuclear and missile defense policy; Air Force Lt. Gen. Samuel Greaves, director of the Missile Defense Agency; and representatives from the DIA and the National Air and Space Intelligence Center.